UCD dairy lecturer Karina Pierce joins us on the Dairy Edge to give an insight into the rationale behind the high input-high output research herd at UCD Lyons Farm. 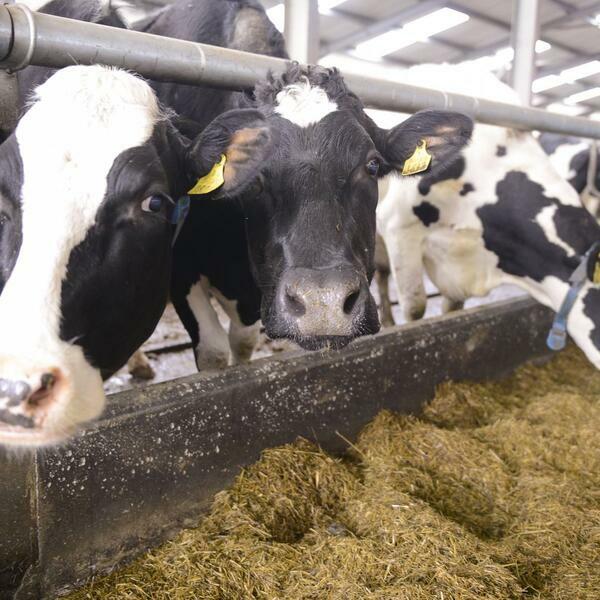 Some of the key factors that have prompted the study are limitations to dairy production such as land availability, labour and environmental constraints. Karina explains the ambitious targets set out including high EBI cows and a high level of fertility performance in a spring-calving grass based production systems as well as achieving high milk output. She acknowledges the adverse relationship between high milk yield and fertility in the past but explains while fertility in the first two years has been disappointing, practices such as pre-breeding heat detection and scanning, a move to twice-a-day AI and the use of scratch cards in conjunction with the MooMonitor has helped improve conception and pregnancy rates during the 2018 breeding season. Karina estimated the cows in the Lyons study consume 6 tonnes DM of feed to maintain themselves and fuel high milk productivity, of which concentrates is 1.5 tonne (25%). The cows are producing 590 kg MS over a 305 day lactation, just 5% off the target of 625 kg. She emphasises the importance of achieving high output where you are feeding high levels of concentrate.